Editor’s note: The gorgeous Jasmine Hunt from Pretty Chuffed had her second baby late last year and is back on the blog with tips on creating an affordable capsule wardrobe for mums with young babies. Jasmine will also be popping up here more frequently this year with great style tips for stay-at-home mums. But, if you’re anything like me, once that newborn fog wears away you might just find that your current wardrobe is not comfortable or practical for life with a baby. When I started maternity leave, my wardrobe consisted of corporate gear and party dresses, and whilst I still love a flash of sequins and a well cut pair of pants, the items I had didn’t suit my new life full of parks, playgrounds, libraries, play dates and catching up with friends over coffee (always coffee!). I also found that my body had changed shape and size and I didn’t quite suit some things I used to wear. So, after buying a few key pieces I inadvertently designed a capsule wardrobe practical for life with a baby. This year, after having my second baby last November, I’ve found my style (and body!) has once again changed and I’ve been putting together a capsule wardrobe that will form the basis for outfits for the next season or two. This autumn/winter/spring wardrobe is perfect for life with a baby (and/or toddlers!) – comfortable, practical, stylish and full of no-brainer outfit solutions that will make life even easier. All outfits are also breastfeeding friendly, however if you are nursing and would like more specific tips, see this post I did earlier this year. Of course, the beauty of a capsule wardrobe is you can adapt it to suit your own taste, and swap out things you don’t like to wear with things you do. And forming a capsule wardrobe doesn’t have to be expensive – everything I’ve featured is under $100, however, also try thrift shopping for basics and shop your own wardrobe for things that might be able to be reused, restyled or even altered to better fit your new everyday. This capsule wardrobe centres on three basic colour themes – black/white, camel and denim. Denim is a no-brainer mum-wardrobe staple, however I’ve updated the look by adding in a denim dress, which can also be worn unbuttoned as a long trench-style jacket. Camel and other neutral colours (including dusty pink, beige and cream) are HUGE this season, and I think camel is probably the easiest to work into an everyday wardrobe. Plus, it pairs back perfectly with denim and black and white. And, as many mums with young children can attest, black is a fail-safe colour to work with! I love these black pants from Boohoo that can be dressed up or down and are a change from jeans. The bomber jacket is another big trend this year, so I’ve included a black bomber which you can throw over just about anything, and then just chuck it in the wash! The suede look trench is another basic I couldn’t go past – it will complement any outfit and keep you warm (if you’re worried about grubby little handmarks on it, it also comes in camel; or swap it out for a black woolen coat, a chunky knit cardigan or a denim jacket). Tan shoes and accessories are also big this season, and I’ve included some gorgeous ankle boots and a nappy bag that hit the 70s trend but also pair back with your monochrome basics. And, I always have a pair of statement sunglasses on hand, because, well, no sleep. Aren’t capsule wardrobes fun? I think they prove that you don’t need a vast wardrobe to update your look or to dress for a new season. Just a few key basics will get you through, and remember to put your own stamp on it. Love a blingy earring? Work it. Love wine or merlot colours in autumn? Add a maroon scarf or a rich knit. Can’t stand ankle boots? Try a flat over the knee style! Not breastfeeding? Swap out the shirt dresses for a shift dress or a midi t-shirt dress. See? It really is that easy. What did you, or do you live in when at home with young babies? Do you live in jeans or are you a dresses girl? Or both? Have you ever tried putting together a capsule wardrobe? Jasmine Hunt is a Brisbane-based clothes lover, style blogger, mother, wife and professional window shopper who loves to find the latest trends on a bargain and shares them on her blog Pretty Chuffed www.prettychuffed.com.au. Pretty Chuffed is a blog that aims to share the fun, the fashionable and the affordable, because you don’t need to spend a lot of money to look and feel great. Jasmine posts what she is wearing every day on her Instagram account @PrettyChuffed. Capsule wardrobes are the way to go especially for breastfeeding mamas! I just wrote one specifically for nursing. Let me know what you think! Capsule wardrobes are the way to go especially through pregnancy and nursing! I just wrote one specifically for nursing. Would love to get your feedback! Love this concept! Capsule wardrobes are the way to go especially through pregnancy and nursing! I’m putting together a series on the subject, check out my latest on breastfeeding. Would love to get your feedback! Such a brilliant capsule wardrobe for a new mumma Jasmine. I love the camel/denim paired with classic black and white pieces. Hope you are loving your mum journey the second time around. Thank you, Jasmine. I’m a not so new mum and your advice and picks have given me new inspiration for my weekends and days off wardrobe. I’ve even been able to shop what I already have in my wardrobe to pull together the looks you’ve suggested. 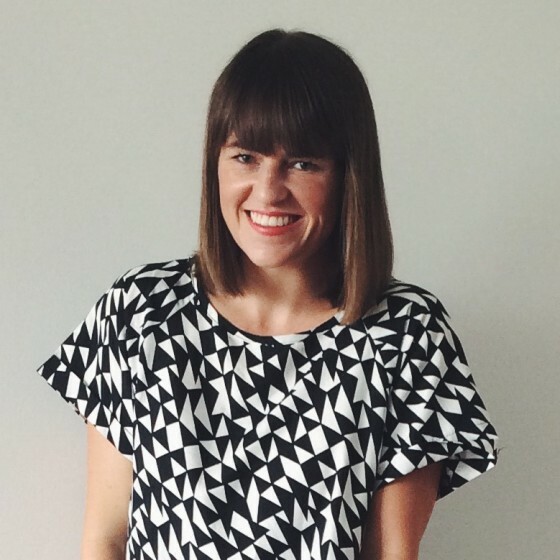 I love your capsule wardrobes thanks jasmine! and I am far away from being a new mum! I could easily wear most/all of these! … lovely! Love that these pieces are affordable!! You always look stunning Jasmine and I love this capsule wardrobe anyone could wear it ,though I will show my daughter when she has her bubba! With the pullovers, would you wear a breastfeeding vest underneath to avoid showing your whole tummy when feeding? Or do you just wing it? I’m not even a new mum but I love those Boohoo black pants!